Jeff, our grandchild, was very pleased to land this one using leeches on the morning of July 3, 2016. He was with Jeremy Anderson and his cousins somewhere on Long Lake. 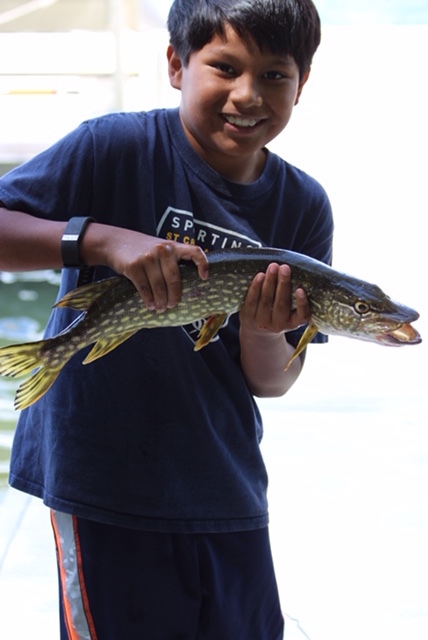 He has liked fishing off the dock since he was very young, but this one was caught fishing from a boat. He was all smiles while he ate some of his catch later at dinner.